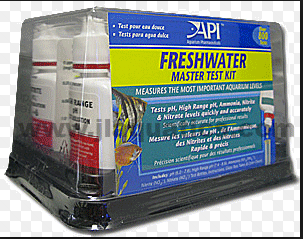 If you do a Google search for Discus water parameters you will see a lot of conflicting information. Many Discus owners become obsessed with water parameters to a point where they take the fun out of the hobby. We as Discus owners ARE NOT chemists! So- don’t worry too much about the water parameters. The main thing to keep in mind is the water temperature. Discus will do well in just about any water parameters as long as they remain constant. Discus DO NOT like frequent change! Here are the ideal water parameters for keeping healthy discus. PH- between 5.5 and 7. Your best bet would be PH of 6. PH up to 7.8 is fine as long as it does not fluctuate. Anything above 7.8 is not good as it will stress out the discus. NEVER add any chemicals to raise or lower your PH! Water Hardness- Doesn’t really matter. Don’t even worry about it. Water Changes- How often you do water changes and how much water you change is completely up to you. Some people online claim that you must do 100% water change daily- This is 100% FALSE!! Even if I own the water company I wouldn’t replace all my water daily! You need to decide how often you will do water changes and how much water you replace. I personally do 50% water change once per month on my show tank! If you are trying to breed discus then get ready to do small water changes daily! Water quality is a key element in maintaining and raising healthy discus. It is not as complicated as it sounds! Feel free to contact me if you have any questions regarding Discus Water Parameters or any other discus fish related questions.